When is the best time for pizza? Trick question. It’s always time for pizza. And now we’ve made your journey to happiness just a little bit easier thanks to our new Pizza Factory location in Spanish Fork. That’s right, Spanish Fork natives! Warm, deliciously cheesy pizza is waiting just around the corner in our conveniently located pizza restaurant. 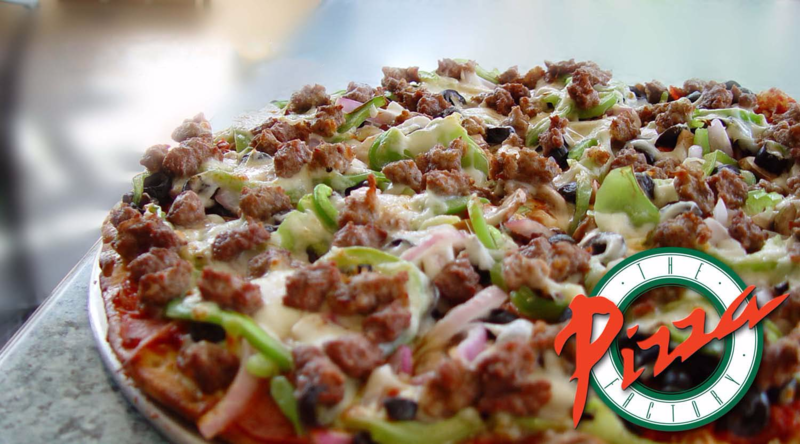 We know there are many choices when considering Spanish Fork pizza restaurants, but we strive to always be the best. Our top priority is crafting high quality pizza that will fill your stomach and satisfy your soul. No matter what your personal taste, we have styles and combinations to satisfy them all. Do you prefer your pizza thick and filling like our Chicago deep-dish, or do you like the lighter, traditional flavors of our original crust? Do you like loading your pizza with fresh, crisp veggies, or are you a meat lovers connoisseur? At The Pizza Factory, there are no wrong answers. No matter what your personal pizza style may be, we welcome all guests in, ready to fill that pizza void in your life. Are you traveling with a large group of people? Our menu has expanded to include even more than just pizza. We also offer a fresh, green salad bar for those looking for something a little lighter for their meal. Sandwiches and calzones are also popular menu items chosen by our customers. Are you dining out for a special occasion? Why not try out one of our deliciously decadent desserts, including our custom-built cookies. Or perhaps you would prefer to choose a bouquet of bread. Our famously popular breadtwists come out fresh and hot, artfully wrapped on a stick to allow for the maximum fun eating experience. So no better what food you’re in the mood for, come down to The Pizza Factory in Spanish Fork and discover all this pizza goodness for yourself. Call now to order 801-794-2211 or take a closer look at our menu here.